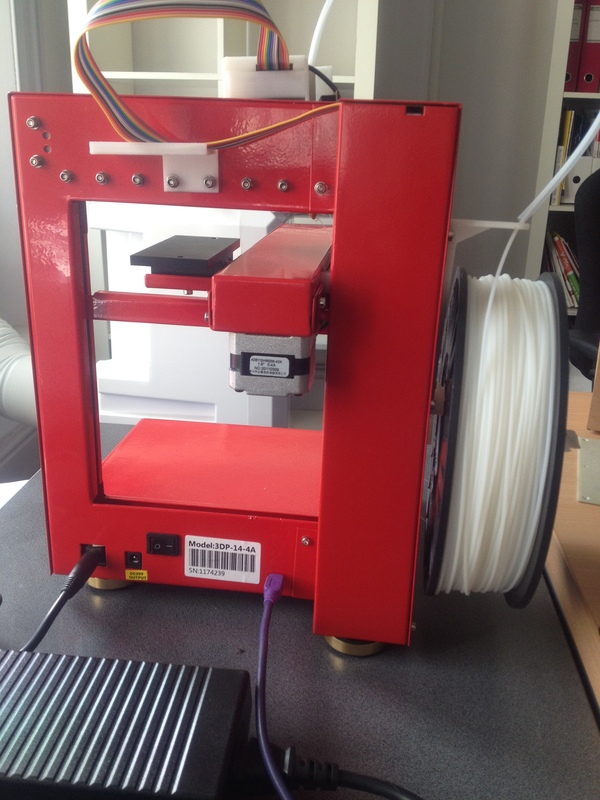 3D Printing Systems has kindly loaned ANAT an UP! 3D printer (thanks Bruce!). Assembly was surprisingly straightforward (compared to the MakerBot at least). It took us a while to install the software and figure out how to set the height of the build platform though – but we got there in the end. 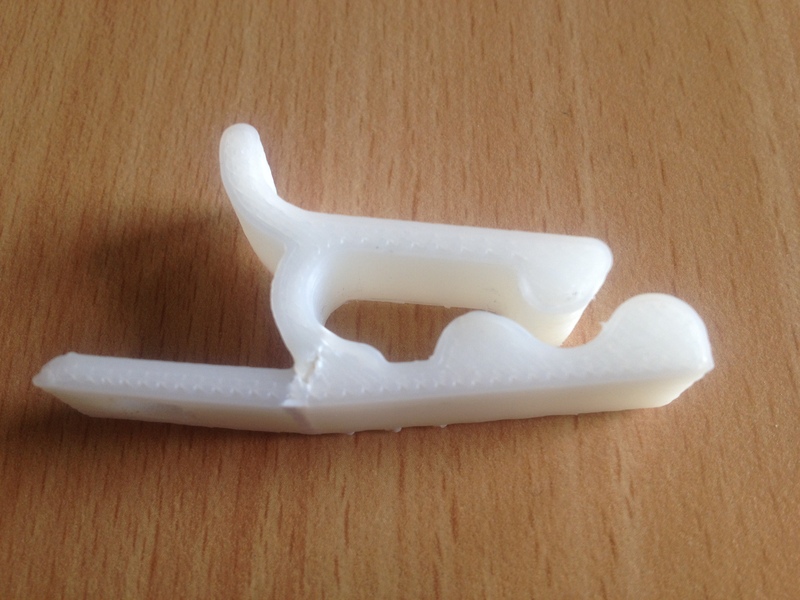 Once it was configured, we successfully printed out a clip (see below). The resolution is impressive with a very smooth finish on 3 sides. The bottom side is pretty rough due to the raft sticking – however Bruce has told us about an update (the V7 wind barrier), which helps in removing raft and support from printed objects, so we’ll be printing that out next.